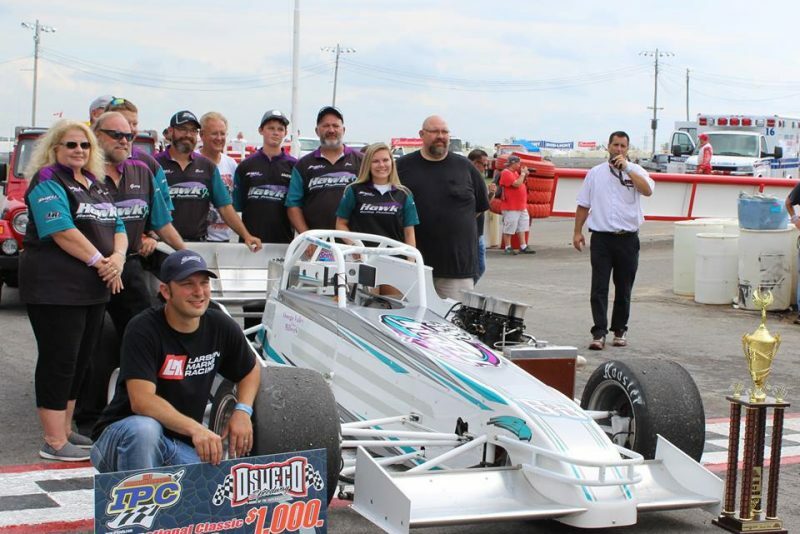 OSWEGO, NY – Mexico NY’s Michael Barnes, an Oswego Speedway Supermodified feature winner on three occasions this year, has been declared winner of the Turning Stone Resort Casino Favorite Driver Contest for the fourth time in six seasons. Barnes, driver of the Syrell Racing No. 68, brought home nearly 50% of the votes ahead of Bob Bond, Joe Gosek, Mike Bond, and Brandon Bellinger in the top five. For winning the contest, this year’s Budweiser International Classic 200 polesitter will be awarded a 2019 season pit pass to the Oswego Speedway. It has been quite the week for the driver fans call ‘The Hustler,’ as Barnes and wife Jodi recently announced that they will be welcoming a baby boy to the family in April 2019. Barnes will accept the award at the speedway’s Hall of Fame Banquet this Saturday at the Lake Ontario Event & Conference Center. Contest sponsor Turning Stone Resort Casino is a Forbes Four Star Award-winning destination featuring world-class amenities including four hotels, two luxurious spas, five golf courses, more than 20 restaurants and dining options, an all-new 125,000 square foot Las Vegas-style gaming floor, a cabaret-style Showroom, a 5,000 seat arena, and several bars and cocktail lounges. Conveniently located at NYS Thruway exit 33, Turning Stone can be found on social media, or online at TurningStone.com. For reservations, please call (800)-771-7711.